Three more Colorado communities’ fall ballots will ask voters to choose whether or not they want to reclaim local telecommunications authority. Erie, Fountain, and Salida will all ask voters this fall to opt out of the state’s SB 152, a law that more than 120 communities have already chosen to shed. In Salida, a referendum petition on an unrelated issue triggered an early referendum and, rather than hold a second vote at additional expense, city leaders decided to put all pending matters on the September 25th ballot. Voters have a total of six issues to decide, including the decision on SB 152. The special election will be decided via mail, with ballots going out as early as September 4th. 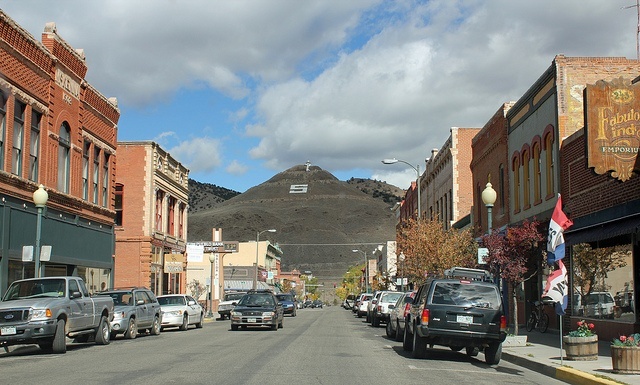 As the county seat, Salida has the highest population in Chaffee County with around 5,500 people. The Arkansas River runs through town, which is 2.2 square miles. The Arkansas Headwaters Recreation Area is located in Salida, attracting fisherfolk, kayakers, and whitewater rafters. The nearby Monarch Ski Area and the Hot Springs Aquatic Center also see tourists. Salida hasn’t publicized any specific plans to deploy a publicly owned fiber network, but like many other Colorado communities that voted to opt out of SB 152, they want to keep their options open. Before they’re able to enter into a partnership with a private sector provider, Salida needs to free themselves from the confines of SB 152. Fountain, with almost 26,000 residents, has already hired a consultant to study the options to bring better connectivity to local businesses, residents, and institutions. 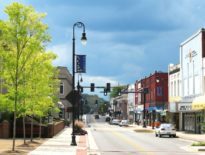 City leaders have decided that they want to establish a broadband plan and opting out of SB 152 will open up possibilities. The city, which began as a railroad shipping center for local ranches and farms, is about 10 miles south of Colorado Springs. The community has continued to grow over time and, in order to keep up with other places in Colorado and provide the economic development necessary to continue the trend, city leaders are considering Fountain’s broadband future. Their referendum will be on November 6th and they’ve prepared a section on the city website with information on SB 152 and the upcoming election. Other communities in the eastern part of Boulder County have already held referendums and opted out of SB 152 and, in order to reclaim local authority, Erie will have the issue on the November ballot. Erie has also hired a consultant, but their feasibility study has been completed and the firm they hired suggested focusing on better connectivity for community anchor institutions (CAIs) and municipal facilities. Schools, libraries, and government buildings could benefit, but the consultant did not believe there was a strong enough interest in Fiber-to-the-Home (FTTH) for citywide investment in Erie. Surveys indicate, however, that businesses in Erie would like to have better options than are now available. Community leaders are still pondering their options, but before they are able to take any action that involves public infrastructure, voters will need to opt out of SB 152. Like Fountain and Salida, Erie has also continued to steadily grow in population; approximately 23,000 people live in Erie today. Photo of downtown Salida, CO via Flickr.